When we moved in to our first home in deep, deep South Austin (almost in Manchaca, but not) two years ago, there was very little in the way of local restaurants in our neighborhood. Fast food chains & a couple of not-so-good take out places seemed to be our only options. But, thankfully(! ), we have found some hidden gems & our deep South Austin dining options are expanding. In the past year or so, new, Austin-owned eateries have been popping up all over between William Cannon & Slaughter Lane. Mostly second locations of hometown favorites, but still! And I'm hopeful that many more will be coming soon. It's a foodie miracle that has been keeping our bellies full & our mouths happy. 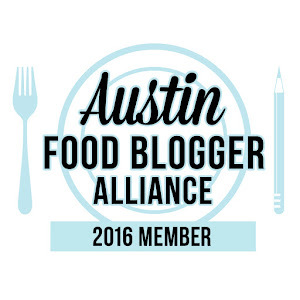 And if you're looking for more delicious fare that's a little further North, but still in South Austin, check out South Austin Foodie's addition to the 2015 AFBA City Guide, Best of South Austin Restaurants. 4404 William Cannon, Weekdays 6 a.m. - 3 p.m., Weekends 7 a.m. - 3 p.m. Incredible bagels & delicious specialty cream cheeses. Very limited seating. And get there early, they sometimes sell out of popular flavors! Austin weird meets arguably the best breakfast in town. 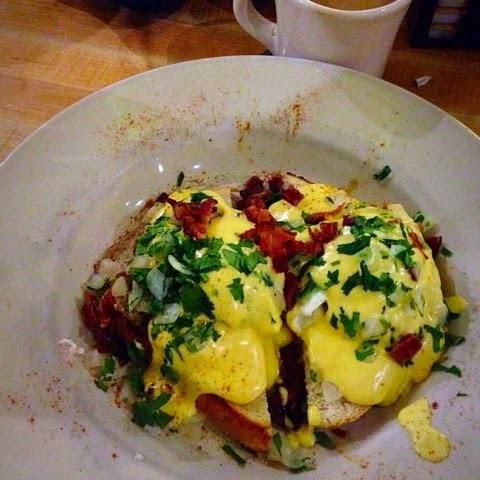 They have a full menu, but their omelets, varieties of eggs benedict & pancakes are tops. Plus, it's fun to have breakfast anytime. With weekly flapjack specials, seasonal menus, lots of vegan options & dang good queso, they've got something for everyone. Try the baked potato omelet or the buttermilk pancakes with lots of butter. No syrup needed. 1945 William Cannon, 7 days a week, 5 a.m. - 9 p.m.
No frills, tasty, consistent donuts & sausage kolaches. Strike up conversation with the older men drinking coffee while you're waiting in line & make sure you get at least a few of the Bavarian cream donut holes. They're amazing. 9001 Brodie Lane, Monday - Saturday, 7 a.m. - 9 p.m. 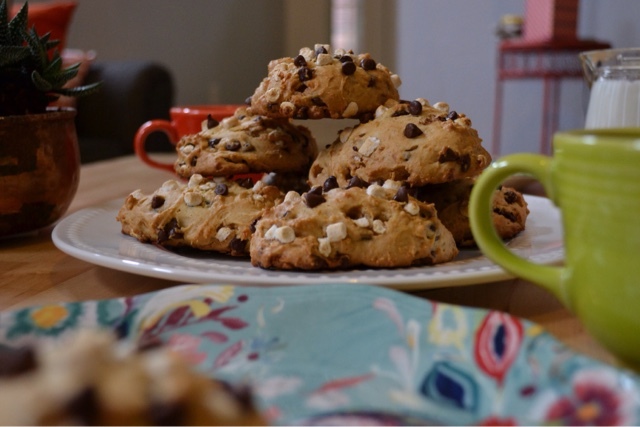 Solid breakfast/brunch options, delicious pastries & a good cup of joe. With a large variety of cake balls that'll sooth your sweet tooth, what more could you need? They also serve sandwiches, salads & soups. 4301 William Cannon, Monday - Thursday 7 a.m. - 10 p.m., Friday 7 a.m. - 11 p.m., Saturday 8 a.m. - 11 p.m., Sunday 8 a.m. - 10 p.m.
3601 William Cannon, Monday - Friday 10:30 a.m. - 9 p.m., Saturday/Sunday 11 a.m. - 9 p.m.
1807 Slaughter Lane, Monday - Friday 10:30 a.m. - 9 p.m., Saturday 10:30 a.m. - 9 p.m., Sunday 11 a.m. - 8:30 p.m. Original Austin, friendly service & a large list of above average sandwiches. Say yes to the Thunder Sauce. 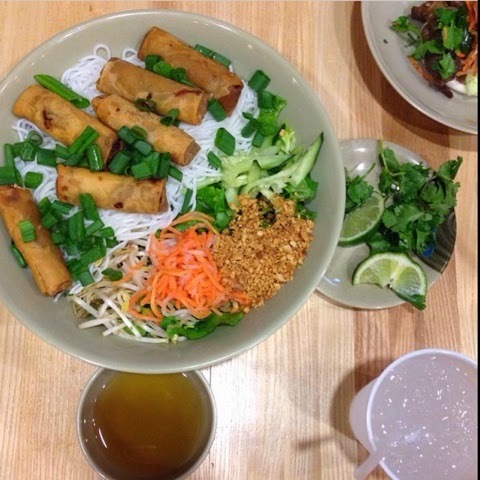 9900 S IH 35 (Southpark Meadows), Monday - Sunday 11 a.m. - 9 p.m.
Tasty Vietnamese fare including build-your-own Pho, vegetarian goodies & a wide variety of drink choices. Try the bahn mi sliders as an appetizer to share or a light lunch. 6818 Westgate, Monday - Sunday 10:30 a.m. - 10:30 p.m. Dependable Asian food available for delivery, dine-in or drive-thru. The service is always friendly & quick & their Cantonese Crispy Noodles are the perfect comfort food. 9900 S IH 35 (Southpark Meadows), Sunday - Thursday, 11 a.m. - 9 p.m., Friday/Saturday 11 a.m. - 10 p.m. Traditional Texas BBQ, Southern favorites & daily specials. They can be a little inconsistent, but the meat is good & the sides are tasty. 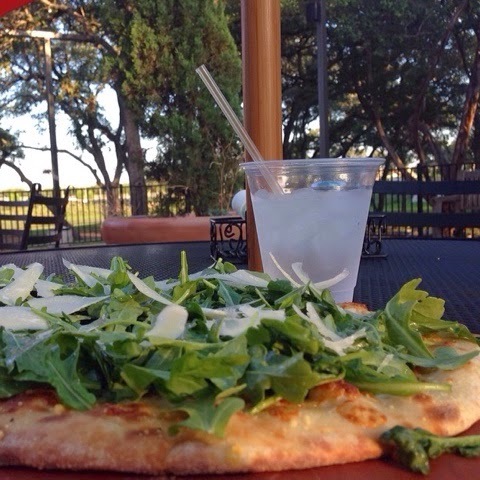 9500 S IH 35 (Southpark Meadows), Monday - Wednesday 11 a.m. - 10 p.m., Thursday - Saturday 11 a.m. - 11 p.m., Sunday 12 p.m. - 10 p.m.
Pizzas, calzones, salads & more made with natural & preservative-free ingredients. Available for delivery, carry out or dine-in, but their seating is very limited. 12110 Manchaca Rd., Monday - Thursday 6:30 a.m. - 5 p.m., Friday 6:30 a.m. - 7 p.m., Saturday 7 a.m. - 7 p.m., Sunday 8 a.m. - 5 p.m. 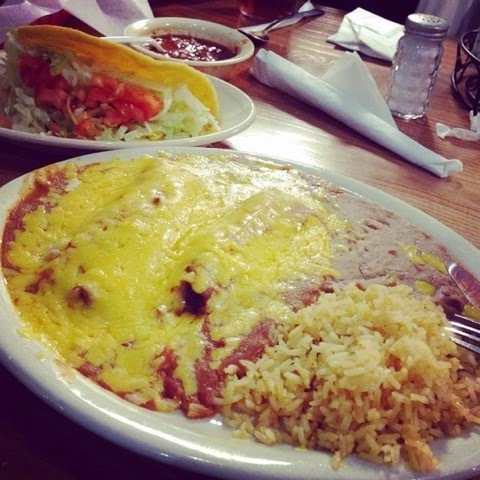 Inexpensive traditional Tex-Mex breakfast tacos, lunch specials & more. 509 W. Slaughter Lane, Sunday - Thursday 10:30 a.m. - 11:00 p.m, Saturday 10:30 a.m. - 12 p.m. I am super-biased, as Rosa's is a West Texas staple & that's where I'm from, but it is a Texas based chain, so I think it's worth mentioning. 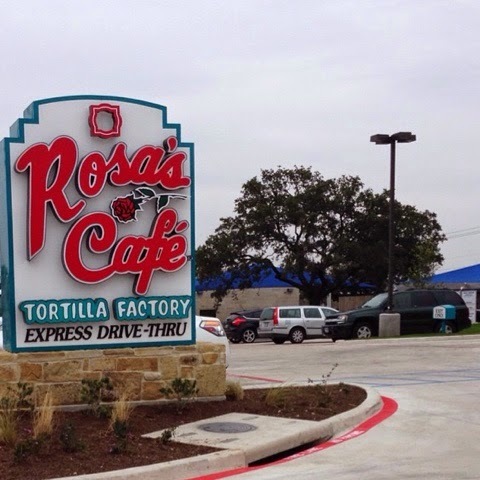 Solid, standard Tex-Mex dishes done quick & most importantly, drive-thru friendly. If you're looking for an enchilada & queso fix but don't want to go to a sit-down restaurant, Rosa's is your new best friend. Tip: pick up hearty, cheap taco dinners on Taco Tuesday & try the nachos; it's just the right amount of chips & queso for two. 4625 William Cannon, Monday - Thursday 11 a.m. - 10 p.m., Friday 11 a.m. - 12 a.m., Saturday 9 a.m. - 11 p.m., Sunday 9 a.m. - 10 p.m. This new location of an old favorite is very nice, with a large bar & plenty of seating. 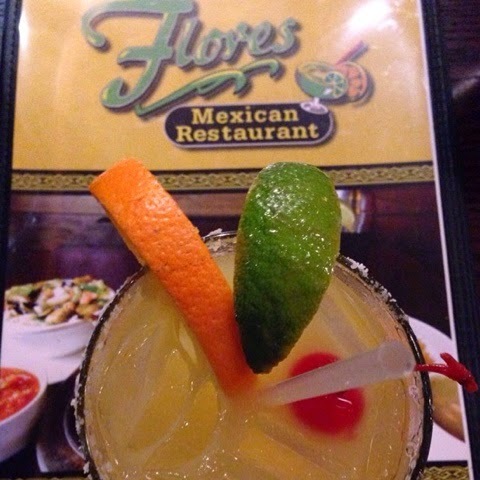 Typical, but tasty Tex-Mex with an exceptional La Flor margarita. 1901 W William Cannon, Tuesday - Friday 11 a.m. - 2:30 p.m., 5 p.m. - 9:30 p.m., Saturday 12 p.m. - 9:30 p.m., Sunday 12 p.m. - 9 p.m.
All of your favorites, plus an extensive list of vegetarian options, this family-owned Chinese/Vietnamese restaurant has been a favorite of my husband's family for years. They also offer quick delivery. A wide selection of pastas, thin-crust pizzas, small bites, desserts & coffees. They have two large dining areas, a small market full of Italian goods & bocce ball on the patio. Try the parma pizza, calamari & zucchini fritti as a quick nibble, or the lemon ricotta cookies for dessert. 1807 Slaughter Lane, Monday - Saturday 7 a.m. - 8:30 p.m.
A variety of salads, soups, desserts, coffees & other offerings available from the deli counter as well as a rotating carving-station meal for evening service. Their meats are locally sourced & as your taste buds will confirm, everything is made fresh. Sandwiches, burgers & breakfast options offered daily. Try the juicy burger with truffle fries or the sunshine cake. Tex-mex usuals, but the stand-out on the menu are the crispy beef tacos. Puffy, hearty corn tortillas take these old favorites to a new level. These are all in my hood and I haven't been to any of them! Except Phonatic. I'm basically family there. Photnatic is a recent discovery for me Corrin, but I could eat those Banh Mi sliders everyday! 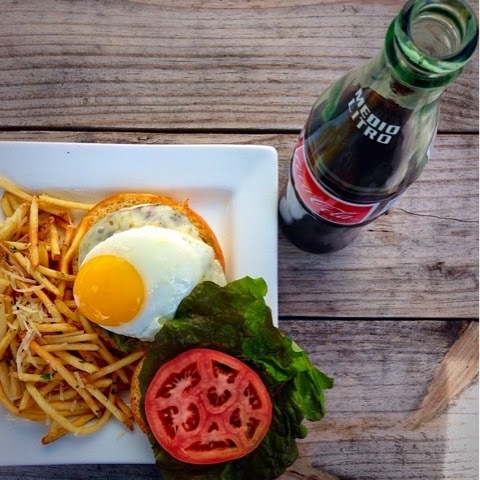 You should definitely try the burger & truffle fries from Independence Fine Foods. It is awesome. Krystal, excellent list of local Austin eateries in south Austin! Don't be ashamed of Rosa's. We love it too! Haha, glad to know I'm not the only one Jimmy!